From Denmark, Merete sent me a wonderul old book of traditional Norwegian knitting patterns and 3 balls of uber-soft kid/silk yarn. Thank you!!! Then from Kentucky came 2 boxes of spinning love. 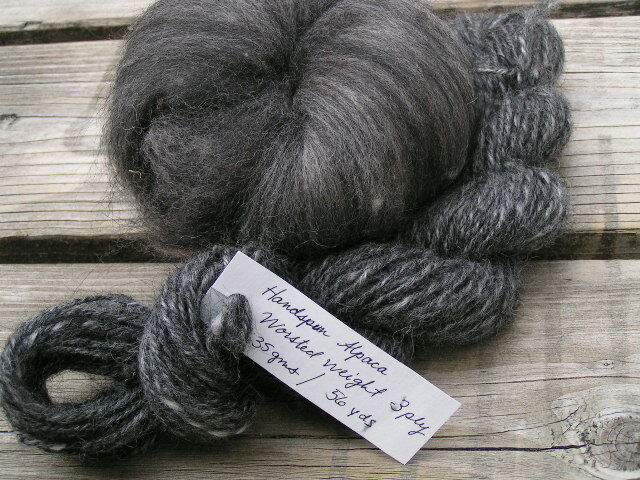 Mother OtherPeggy sent me a wonderful fiber sampler and a new spindle. It’s hard to say whether she’s sharing love or enabling my addiction… Either way, I’m extremely grateful. 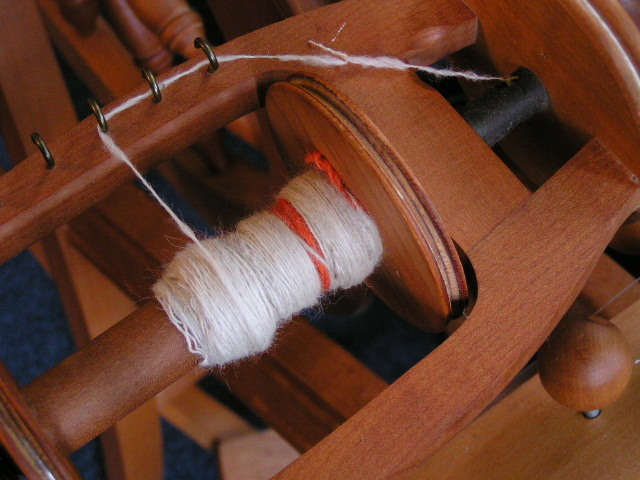 Cotswold and a lovely spindle. Alpaca and handmade lavendar soap. Again, so soft. 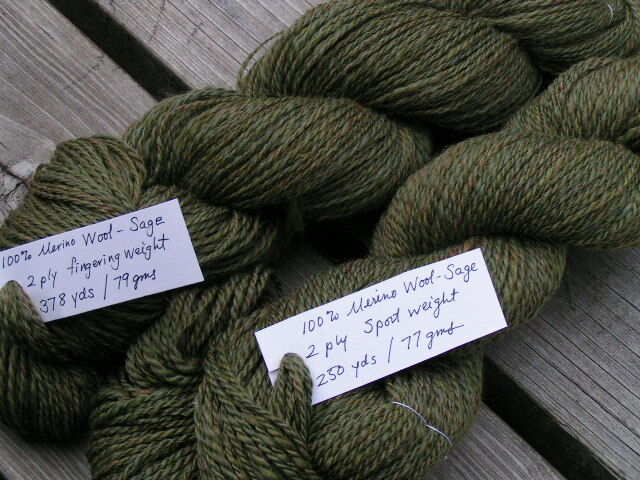 Small samples- Cotton, Gotland, Border Leicester, and Tussah Silk. These will be saved until I’m a more competent spinner. And a huge bag of Romney. 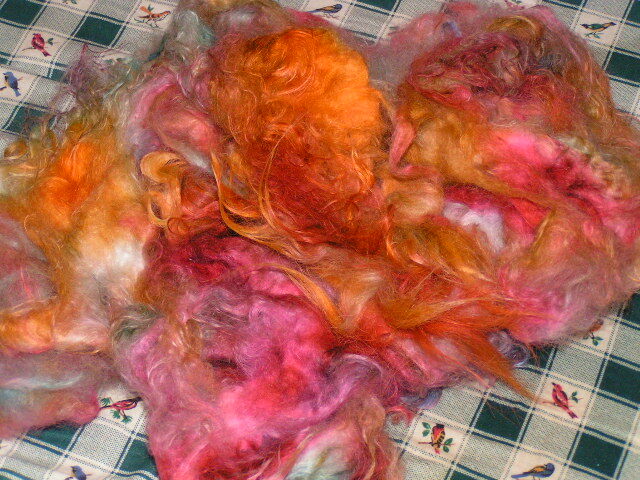 I couldn’t resist dying some yesterday. 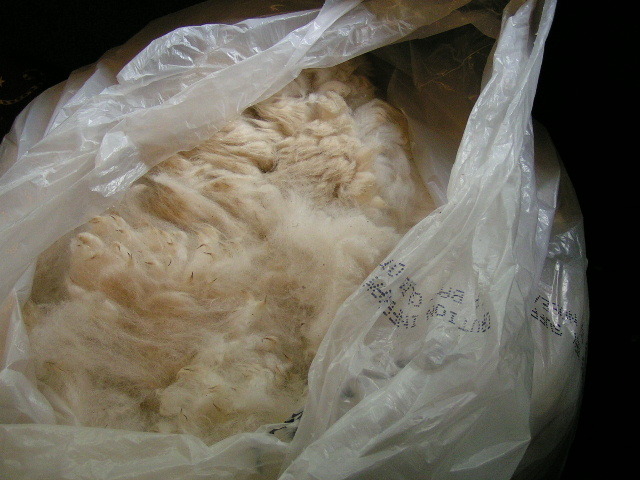 Like I mentioned, the boys and I trekked down to Canby this Saturday for the Oregon Flock and Fiber Festival. It was awesome. But let’s get straight to the eye-candy. Two skeins of Blue Moon Fiber Arts Socks that Rock- millends bought on the cheap. The one on the left is lightweight, right is mediumweight. 4 oz. 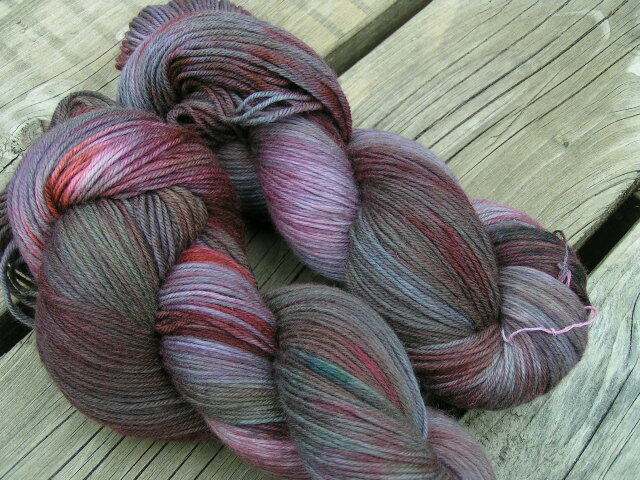 Abundant Yarns and Dyeworks sock yarn, colorway Rocky Mountains. 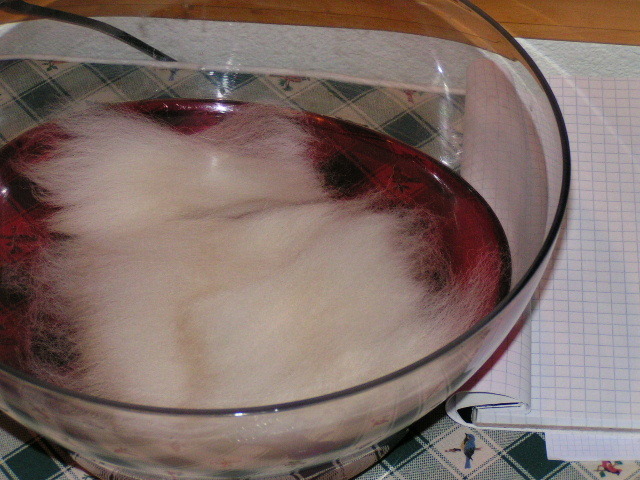 All plant dyes. This was a bit of an accident 2 ways. I was browsing the booth when the boys noticed they were also selling cookies. Having missed lunch they were very hungry and I decided to appease them with cookies and justify it with more wool. Don’t ask me how that works. 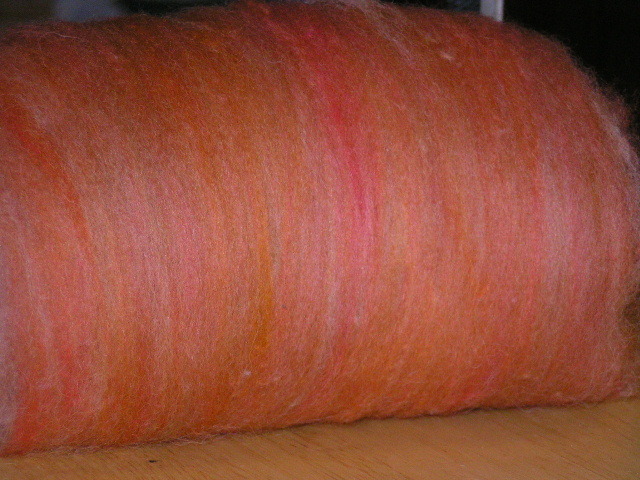 The dyers said this colorway was also a bit of an accident- they’ve never made another one like it. All three ladies in the booth recognized and complimented me on Cobblestone, and that was very nice. 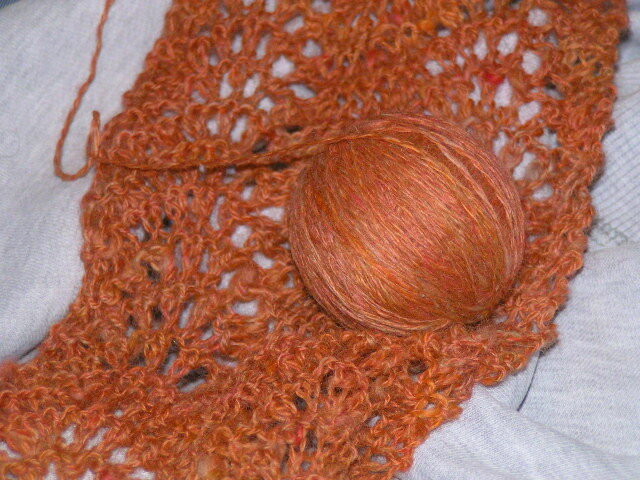 Very low yardage super-duper extra chunky yarn. 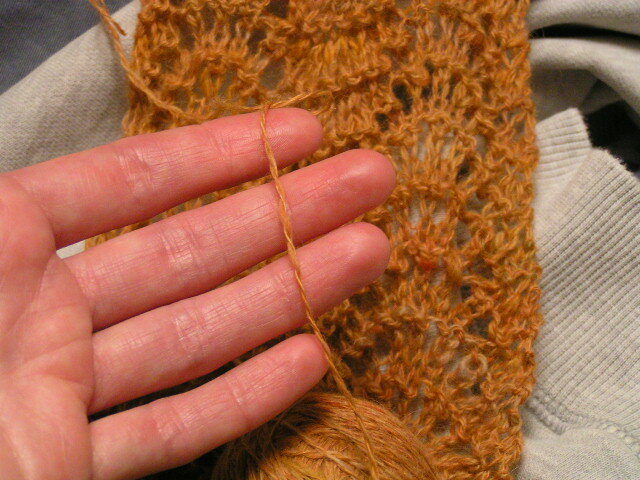 That learning curve is rather steep, but it least it’s yarn!